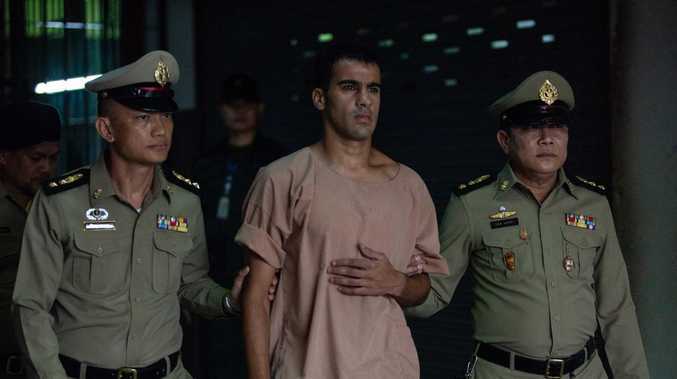 Thai officials say they received an alert from Australian authorities to detain Hakeem al-Araibi. squarely at the feet of Australia, saying he was detained at its request. Al-Araibi, 25, who is wanted by Bahrain over the firebombing of a police station in 2012, was detained at Bangkok airport on November 27 when he arrived from Melbourne for his honeymoon. 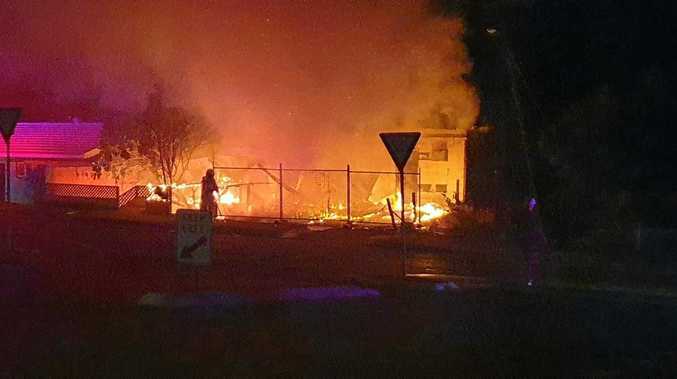 "We would not have become involved in the issue had we not received the Red Notice alert from the Australian Interpol and the subsequent formal request by Bahrain for his arrest and extradition", the Foreign Ministry said in a statement on Wednesday. "It took several days after the arrival of Mr Hakeem, before the Australian authorities informed us that the Red Notice had been cancelled. By that time, legal proceedings in Thailand regarding Mr Hakeem had already started and could not be reversed." After being sentenced by Bahrain to 10 years' jail in absentia, al-Araibi fled in 2014 and was later granted refugee status by Australia and lives in Melbourne. He says he faces torture and possible death in Bahrain. He was shackled on Monday when he appeared in court in Thailand where the formal hearings in his extradition trial were set down to start on April 22. The Foreign Ministry's statement seems to contradict an earlier claim by Thai Immigration chief Police Lieutenant General Surachet Hakparn that Bahrain knew of al-Araib's travel plans prior to his arrival. Surachet said on December 5 they had been instructed by Foreign Affairs to arrest al-Araibi prior to his arrival. "The Bahraini government knew that he would be arriving in Thailand so they co-ordinated with Thailand's permanent secretary of foreign affairs to detain him, pending documents sent from Bahrain," Surachet told BBC Thai. Australia has called for Thai Prime Minister Prayut Chan-o-cha to personally intervene and free the semi-professional footballer. "I would be very disappointed if as a result of how this was handled that that relationship between the Thai and Australian people were affected," he said in Melbourne on Wednesday. "They do have the authority to use those executive controls for him to come home. So we're going to continue to work patiently and respectfully to secure that outcome." Australia has also been pressing the case with Bahrain's government, which is seeking to extradite al-Araibi, Mr Morrison said. Meanwhile, Super Rugby club Melbourne Rebels has apologised after this week announcing a sponsorship with Thai Airways which is majority owned by the Thai government. 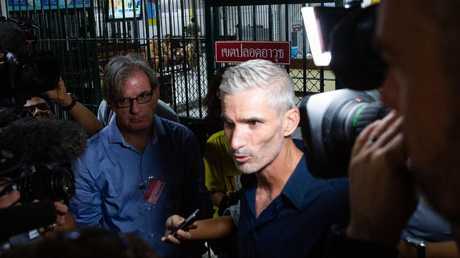 The club, however, will keep the deal which had been negotiated since the middle of last year and says they support the SaveHakeem movement. "This commercial relationship with an airline is in no way intended to be an endorsement for the breach of any individual's rights or the actions of any government," the apology read.